Standing at the edge of Dove Lake we are being lashed by freezing sleet and an icy wind. It’s nearly the end of September but it feels like winter. Our planned two-hour trek around the lake has diminished to a 10-minute stagger to the boathouse but even that is revised to a quick photo before we retreat up the path to the car park. Getting detailed information about access to Cradle Mountain National Park is not easy even though it is one of Tasmania’s biggest tourist attractions. But if you are like us and faced with the wrath of nature’s forces you’ll appreciate as we did that it is actually possible to drive to Dove Lake. This must seem like sacrilege to those serious hikers who relish the prospect of days of walking but on this day we were “car park tourists”. Make no mistake Cradle Mountain is as spectacular as you have heard. It is breathtaking. And the view with Dove Lake in the foreground is not to be missed. 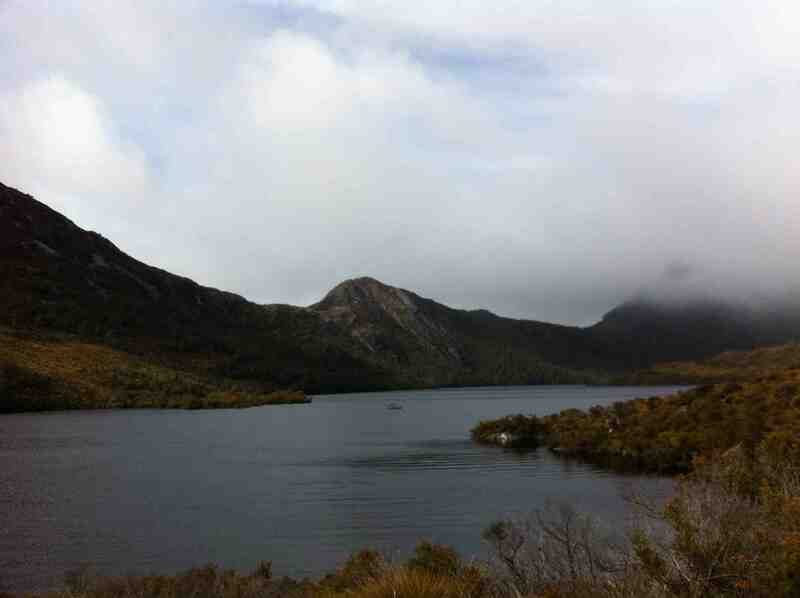 Cradle Mountain is a two-hour drive from Launceston. As the road makes its last approach to the park entrance there are a number of accommodation options. We stayed at Peppers Cradle Mountain Lodge in a Pencil Pine Cabin. The grounds of the lodge are like a free-range zoo. 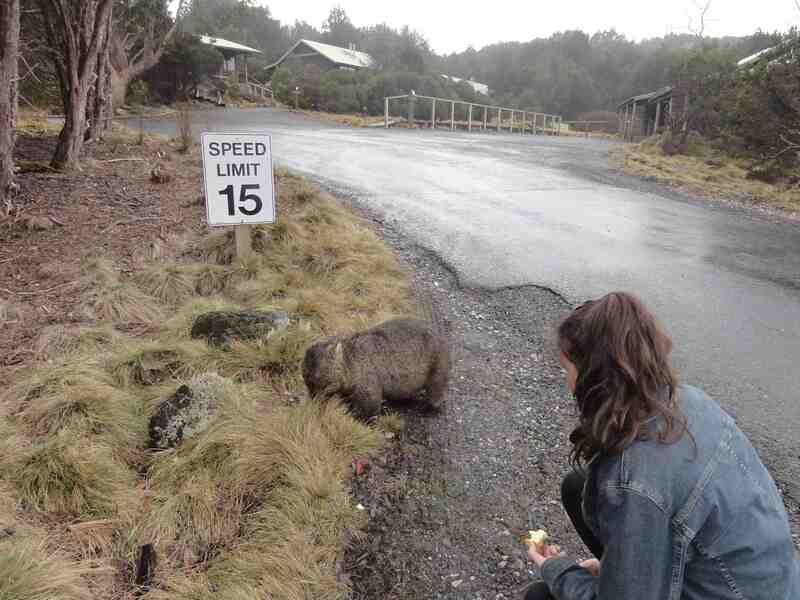 We patted a large wombat and found a group of Tasmanian pademelons outside our cabin. The Lodge is literally steps from the boom gate entrance to the park. And that’s another secret to know: you need to buy a pass to enter the Cradle Mountain National Park. Passes can be purchased from the Visitor Centre, which is located two kilometers before the entrance to the park. Run by the Tasmanian Parks & Wildlife Service the visitor centre also has lots of information about the park, including maps. It is also the departure point for the shuttle bus. Another secret – but keep this fairly quiet – it is possible to drive into the park if time and weather constraints mean you can’t use the shuttle bus. To drive into the park the boom gate entrance will only open if there is room available. If the capacity for vehicles is full you will need to wait for another car to depart the park. While you are waiting there is a Ranger Station and Interpretation Centre with the all-important open fire. From the park entrance the drive to Dove Lake takes about 20 minutes. There are other stops along the way and beautiful boardwalks. The alpine meadows are covered in tufty button grass and bordered by snow gums, pencil pines and silver wattle. 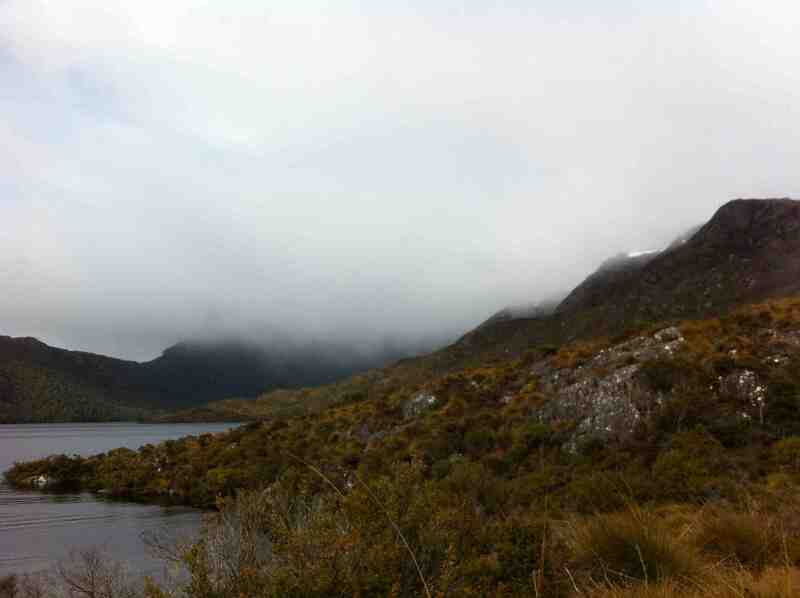 Even though the weather curtailed our visit the Cradle Mountain experience was wonderful and we can’t wait to return for a longer stay when – if the four seasons allow it – we will have time to trek further afield. Park pass fees for Cradle Mountain are $16.50 per adult, $8.25 per child or $41.25 per family. This includes the shuttle bus. Accommodation at Peppers Cradle Mountain Lodge is very special. 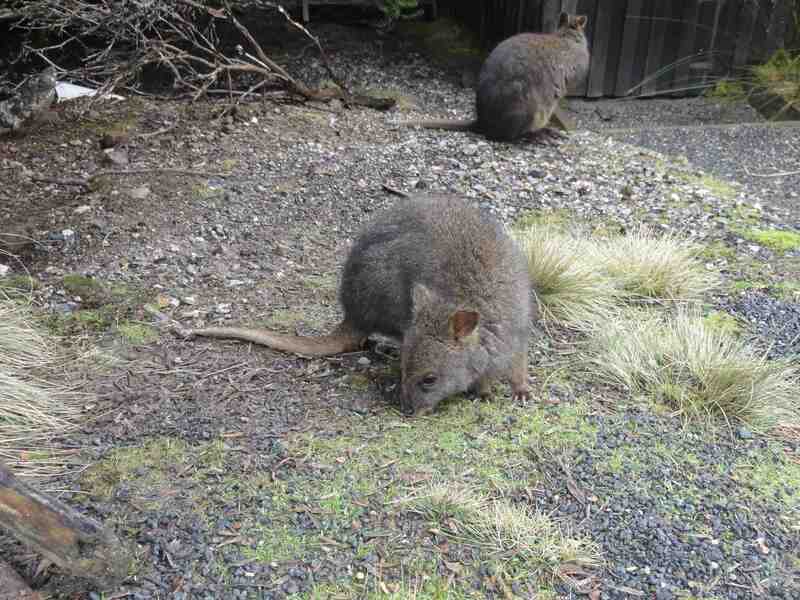 Tasmania has a number of native animals including the Pademelon. Have a look at the information on the website Discover Tasmania. because it failed the preliminary soak test.